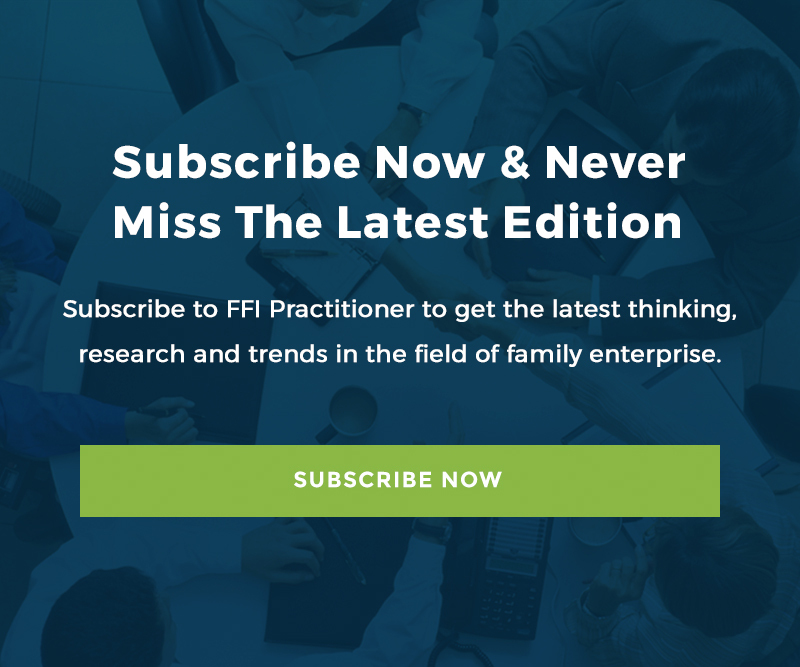 The Family Firm Institute (FFI) has announced the recipients of the 2017 Academic Awards and Family Business Review (FBR) Awards. The Family Firm Institute (FFI) has announced the recipients of the 2017 Awards for Achievement. Philanthropy is not just a “good” thing to engage in. It is also one of the most effective tools for bridging generational differences in families. Families of wealth are constantly looking for the secret to proliferating their fortunes over multiple generations. A key element is right before our eyes, the family’s generations. For members of a family enterprise, succession can trigger strong feelings of anxiety, apprehension, or ambivalence. François de Visscher (FdV): Why is it more attractive to be a direct investor as opposed to investing in private equity funds? Paul Carbone (PC): Well, I think there are several reasons.